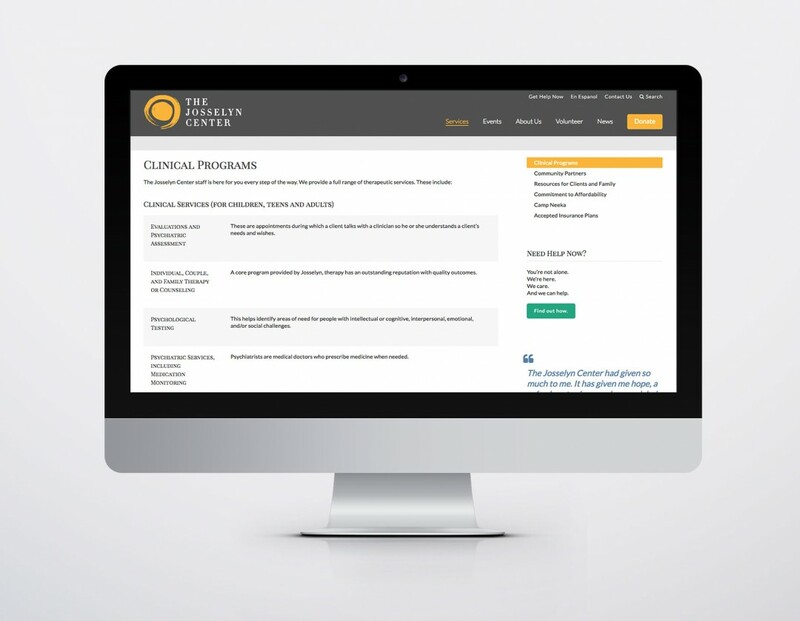 The Josselyn Center is a community mental health facility providing a wide range of clinical and theraputic support services to individuals, families and groups in the greater Chicagoland area. NeigerDesign designed josselyn.org to attract new audiences, streamline their navigation, and soften their look to destigmatize mental health services. The new website also features a content management system (CMS), responsive design, SEO optimized content, a secure donation form, and additional custom interactive displays.